In the game, the players are looking to create potions. That's done by gathering models from a dispenser and matching them with the various ingredients that are part of the potion "recipes". It seems rather straightforward, but there's a lot of strategy in how you stack up your marbles, which can help you collect the colors you need later on. This is a family-friendly puzzle game that you can bring everyone in on. 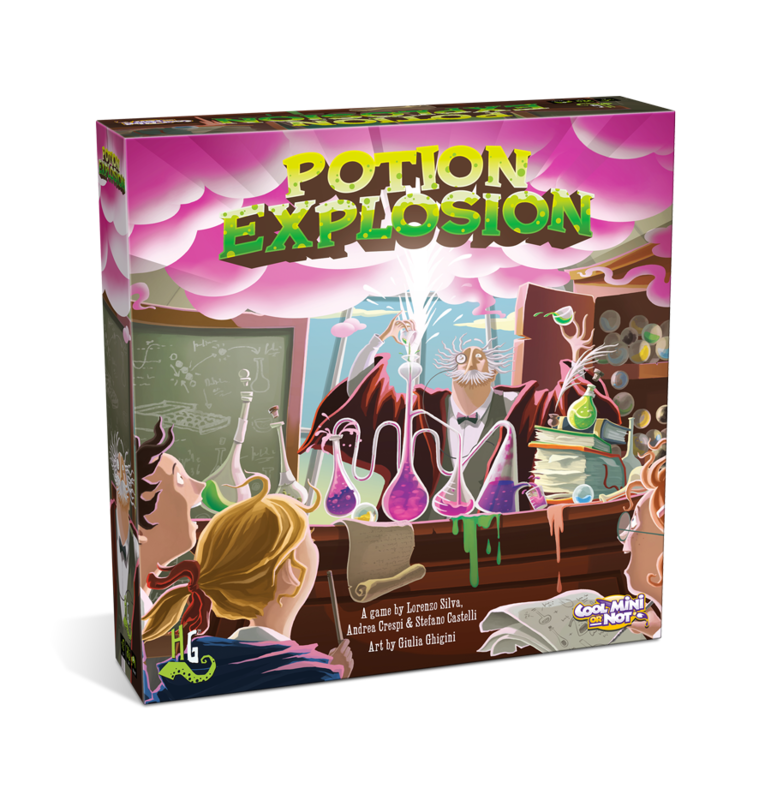 Expect to see Potion Explosion English Edition on shelves during the first quarter of 2016.